Support from the chair of the federal union of women in ver.di – now more than ever. We – the women in ver.di – would like to express our strongest support for the struggles and actions taken by our comrades of the GARMENT WORKERS TRADE UNION CENTRE. 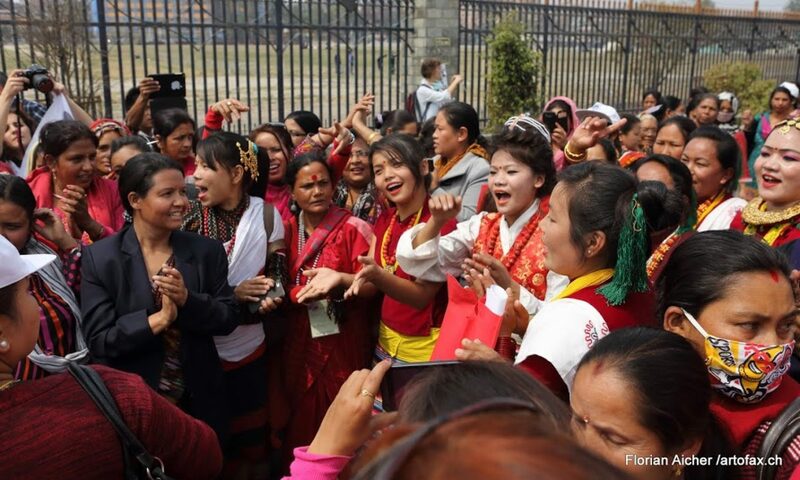 Having followed your struggles for dignified wages and working conditions, the women in ver.di are deeply impressed by your activism and your ongoing mobilization. We are proud to show our solidarity to you — to workers – especially women – who rise against a system of exploitation that might seem impossible to defeat. We in ver.di know how difficult this fight can be – even if you surely face problems and resistances we can hardly imagine. This is why it is important to us to show you that your voices are heard and you actions are seen here in Germany and in Europe. In times of right-wing politicians on the rise who threaten reproductive rights and health care for women all over Europe and the U.S. and neoliberal politics that affect financial security of workers everywhere we feel the need to be an ally to working women all over the world. Strong trade unions that voice the demands of working women are an important counterpart to capitalist exploitation and to those who hold power and wealth. To us, gender equality and women’s rights are at the heart of these struggles, since they are far too often neglected and under attack. To us, solidarity, exchange and cooperation with organizations all over the world are important values we would like to uphold. Rest assured that the women in ver.dioffer their support to you. We will continue supporting your struggle on an individual and collective basis by reporting on your actions to our committee members, by further endorsing the Joly Project and by actively promoting the Clean Clothes Campaign – which implies asking critical questions on the origins of the clothes we buy and the conditions under which they were manufactured. Lastly, we wish you an excellent and fruitful conference where courageous and fierce ideascan be discussed and shared. Next PostNext Call for an International Day of Action against Feminicide on August 3rd!